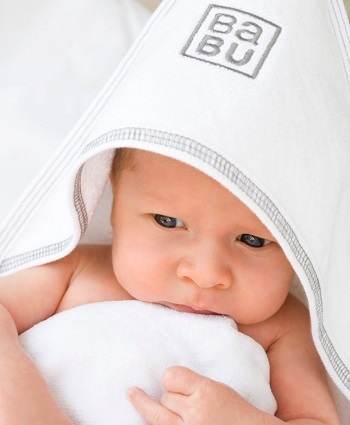 Consisting of a Cotton swaddling wrap and bib set this value pack is an essential from the Babu collection. A simple item but an absolute essential, our bibs are made from super soft, very absorbent 100% GOTS organic cotton for practicality and comfort. The Babu™ bib set comes with two bibs in the colour of your choice. They’re designed to fit your child from baby to toddler age, and the soft 100% cotton material means no irritation around the neck. These bibs wash beautifully and will definately last the distance! All our wraps are made from 100% soft cotton interlock that will still feel great after numerous washes. This multi-purpose cotton wrap can be used as a swaddle, spare sheet, on the change table or bundled up in the nappy bag just in case. Treat you and your loved to something extra special. Sign up to our Loyalty Club and we'll give you a permanent 15% OFF everything in store - even on items already on sale! I have bought this set as a gift a few times now. It is brilliant value and every friend I have given this to has loved it.